We are no longer accepting applications for the summer of 2018. If you are interested in applying for a summer job for 2019, please send us an e-mail to info@thenorth-westpassage.com. Below you can take a look at the summer jobs we have been offering this year. Please be aware that we may have different employers for next summer, but it should give you a good idea of what kind of jobs you can expect. We are looking forward to see your application next summer! These summer Jobs are exclusively sourced for The North-West Passage and you can only apply to these through us and our Summer Program that includes your job placement, visa, insurance and more. Each employer will have a specific interview date and the employer will only interview one person per slot. So it is our job to source the best talents. Please click here if you want more info on pricing and how to apply. You can also contact us directly to schedule a free consultation. Bubba Gump Shrimp Company is a busy seafood restaurant with prime location right on the water! We pride ourselves on delicious food and a casual, fun atmosphere. Since 1996 we have been providing unique, engaging service and fantastic food, and there are now 33 locations worldwide! This is an enjoyable, fast-paced work environment and we’re looking for team-oriented and outgoing employees to join our staff! Island Vista is a premier Myrtle Beach luxury resort, overlooking one of the most preferred stretches of beach on the Grand Strand. Nestled in a quiet residential area, Island Vista is a 149 room, 12-story, all-suite hotel, which celebrated its grand opening in May of 2006. At this Family owned and operated resort, we pride ourselves in offering the true essence of Southern Hospitality.Margaritaville offer a total of 10 positions for us! LandShark Bar & Grill is at the center of beachfront action by day or night! They are located on the Oceanfront Boardwalk and Promenade right next to the Skywheel. Inspired by the great “beach joints” that once dotted the Atlantic coast, it’s the perfect blend of ocean breezes, boardwalk action, great food, generous drinks and outstanding Beach Music. The family-friendly menu features American beach food with a fresh coastal twist. You will always be busy at this fun oceanfront restaurant right in the heart of Myrtle Beach! ​​Landshark offer a total of 5 positions for us. Located near SeaWorld San Diego, the Hyatt Regency Mission Bay Spa and Marina is a vacation resort that offers guests incredible ocean views, waterfront dining, beautiful pool, eco-friendly spa and updated hotel rooms and meeting spaces. The location is accessible by public transportation and is hard to beat! They have a long history of employing international students and they offer a supportive and enriching work environment. Hyatt offer 10 positions for the summer. 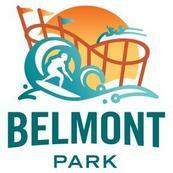 Morey's Piers is a family-owned amusement business that operates 3 amusement piers and 2 waterparks. We are located on the boardwalk in Wildwood, New Jersey overlooking the magnificent beaches and Atlantic Ocean. Everything in town is easily accessible and within walking distance of accommodations and work. We organize trips to nearby cities for site seeing, shopping, concerts, etc. Morey´s Piers offer a total of 5 positions. Ride Operators will be working at various rides and attractions, including roller coasters, children’s rides, extreme rides or dark attractions. Lifeguards will be rotated throughout the day to monitor various aquatic areas and will be required to pay close attention to the swimmers in their area to prevent and respond to aquatic emergencies. The Old Spaghetti Factory is located in the heart of the Gaslamp Quarter district close to all the fun attractions San Diego has to offer! A meal at The Old Spaghetti Factory is an experience. 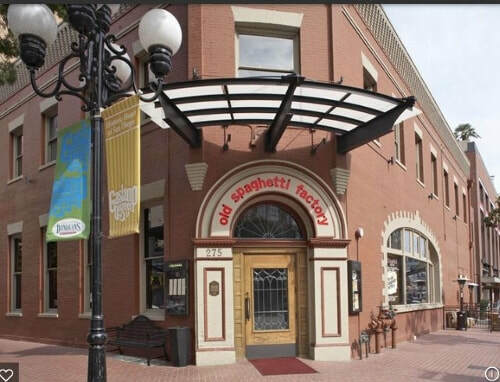 The Old Spaghetti Factory is still family owned and operated so it is important that our guests have a memorable dining experience. We are looking for students who are willing to work hard, be outgoing, and are comfortable being upbeat and friendly every day at work! ​Heavenly. All In. Few resorts match Heavenly's scenic beauty and expansive network of terrain and trails. Located on the south shore of Lake Tahoe, Heavenly is the region's largest mountain resort, featuring the highest elevation and longest vertical drop. The views of Lake Tahoe and the Sierra mountain range are magnificent. They offer 9 positions in total.